DTS Electric - California Electrical Construction, Building Electrical Construction, industrial, commercial, motor controls, refrigeration, research bio tech, and water treatment arenas. Industrial, commercial, motor controls, refrigeration, research bio tech. 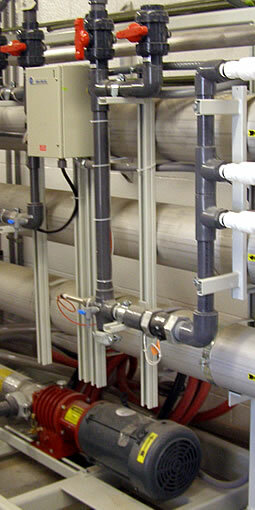 Water treatment, manufacturing, petro-chem, paint manufacturing, process controls, power generation. Energy, LED lighting, tilt-up, warehouse distribution, tenant improvements, underground and infrastructure. DTS Electric. California Electrical Construction. Our many years experience in electrical construction expands over a wide variety of projects in the industrial, commercial, motor controls, refrigeration, research bio tech, water treatment, manufacturing, petro-chem, paint manufacturing, process controls, power generation, energy, LED lighting, tilt-up, warehouse distribution, tenant improvements, underground and infrastructure. Versatile in all areas, our success is based on ensuring that our knowledge and commitment to the requirements and standards of the construction industry and the clients are met. I wanted to thank you for the excellent service that DTS has given to Norton Packaging Inc. It is very refreshing to have a competitive subcontractor provide timely proposals and then do whatever it takes to execute the work in the field as promised. Throughout the DTS organization, from President to Electrical Helper, everyone displayed a commitment to ensure that nly the highest quality of workmanship was employed. California Electrical Construction, Building Electrical Construction, industrial, commercial, motor controls, refrigeration, research bio tech, and water treatment arenas.